We promote a family friendly environment and all our members and their families have access to some of the best facilities available including brand new clubrooms and social facilities for the family to sit in air conditioned comfort whilst watching the games or enjoy free use of our pool table, children’s play area, free internet or just watch whatever is on television. We also have a canteen and bar available as well. 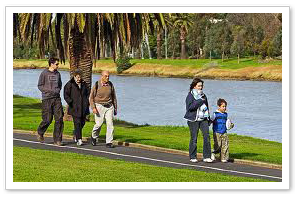 We are located on the Maribyrnong River Precinct which provides families with lots of activities such as the riverside walking tracks, parklands and several children’s playgrounds. 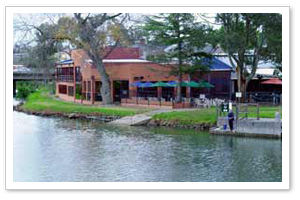 You can enjoy a coffee or meal at the Boathouse Cafe which is directly across the road from our club or the Anglers Tavern which is a short walk away. All of our senior and junior members have access to all of our club equipment and training aids including a bowling machine to work on your skills in your own time. We can also provide details for local coaches that can help you improve your game as well. 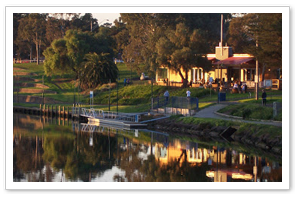 Our clubrooms have just been extended and renovated with a new kitchen and bar area that can cater for large crowds. All our members have access to use these facilities for family functions or parties etc.